Caroline Ong’s talk on how artificial intelligence is changing business could also change the way we approach post-secondary education, according to Michael Henry, the dean of TRU’s school of business and economics. Ong is the cognitive and analytics lead for Global Business Services at IBM Canada. 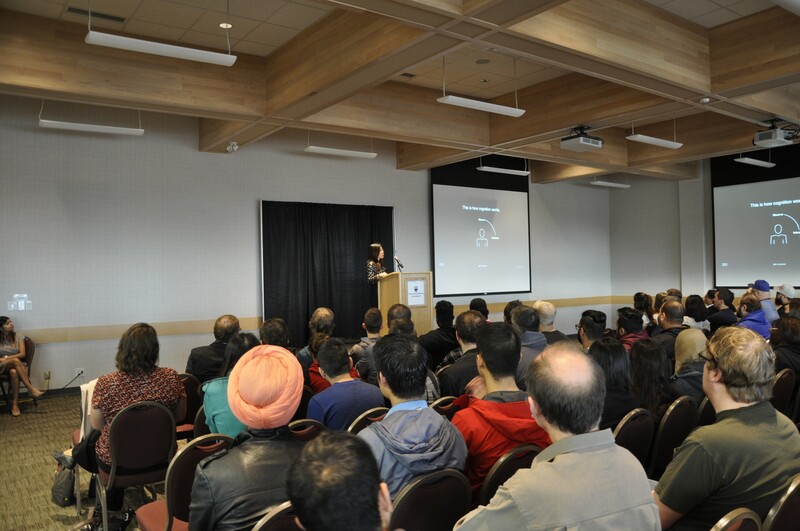 She spoke at TRU about Watson, IBM’s cognitive computing system, and its workplace applications. She described cognitive technology not as a replacement for humans in the workplace, but as a member of a human-technology partnership that can complement human expertise. Watson mimics human thinking: it can understand, reason and learn. It can process massive amounts of data, taking context into account, and provide a solution to a problem. According to Ong, it will revolutionize the way we work. An example Ong gave was IBM’s work with the Memorial Sloan Kettering Cancer Center. Cognitive technology like Watson can analyze all published medical material and cross-reference it with patient information. No doctor could hold that much in their brain at one time, so the technology helps suggest individualized treatment plans that may not otherwise have been considered. IBM’s cognitive computing platform is being used for everything from engineering, to hospitality, to player trading in sports. Henry was still reeling from the implications cognitive computing could have for education. Both he and Ong predict that artificial intelligence will be a part of our lives in 10 years. He suggested instead that institutions like TRU should focus on teaching critical thinking skills, and preparing them to ask questions. Henry admitted that universities are not fast-moving entities, but said that “we’re going to get left behind” unless we welcome new technologies. Ong’s talk garnered stellar reviews from staff and students. “We were very lucky to have [Ong]. She is very sought after as a speaker,” Henry said. Agarwal said that such talks give students opportunities to network with the business community. The audience was composed mainly of tech innovators and students and faculty from the business and computer science departments. Henry also said that speakers like Ong, who work in the field, “enrich the experience for professors and students alike.” It adds another aspect to education besides classroom learning. The event was a part of the Technology and Innovation Speaker Series, which is a partnership between TRU and the B.C. Lottery Corporation, along with other sponsors. The series will continue in the new year with a conference about tech and information security.